I first started cutting the tumblers for this quilt about 6 or 7 years ago at a retreat. Other quilters generously let me cut tumblers from their scraps. I really wanted to do a sashing which is, of course, adding to the project. I think it’s worth it though. The rows are not attached to each other yet. I have trimmed those and then need to match all those wonderful seams – what was I thinking?! I had a few decisions to make. Do I cut through the tumblers on the sides to make it straight? Do I add a filler at the end of the rows? 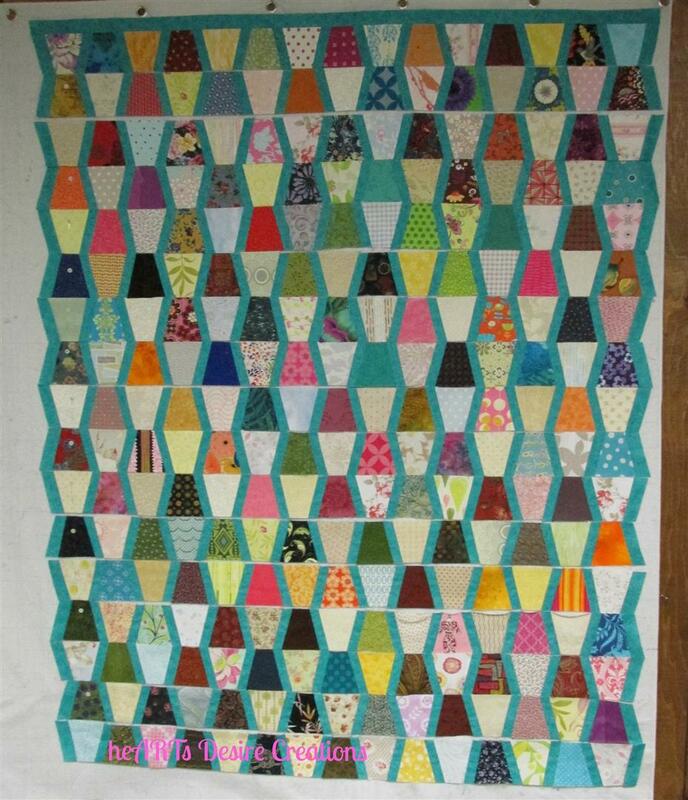 Or do I add a sashing at the end of each row and then leave the edge the shape of the tumblers? It may make the binding a bit more challenging, but it is doable. And as you can see, the sashing at the end and the zig zag edge is what I chose. In part my decision is based on fabric. Yikes – I didn’t have enough of the blender to finish! I scoured the internet and could not find any. I then contacted customer service at Coats (it’s a Free Spirit dapple). A few days later they blessed me with their last 2 yards in the warehouse! Wow! Now it’s back to sewing…. 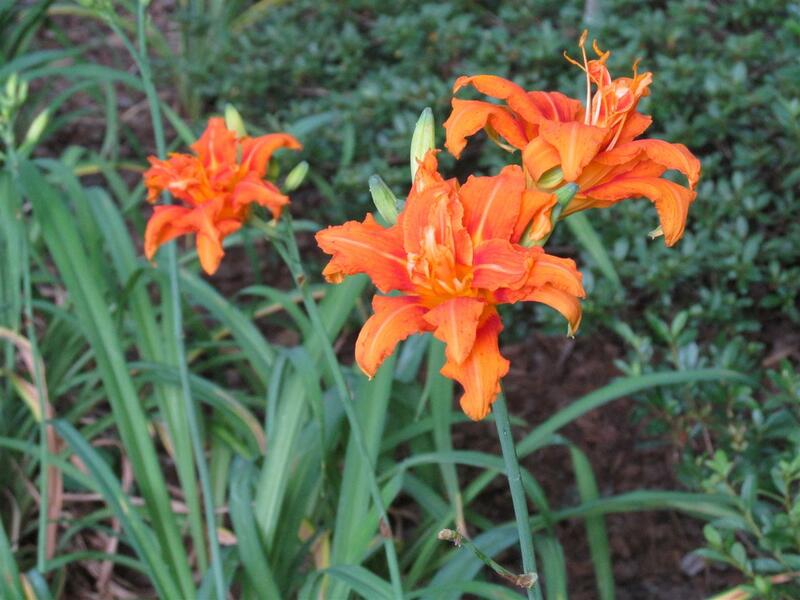 The daylilies are bringing new joy to the front garden each day. Wow! That really is so pretty with the sashings! I like the layout with the sashing in between and the zigzag edges!